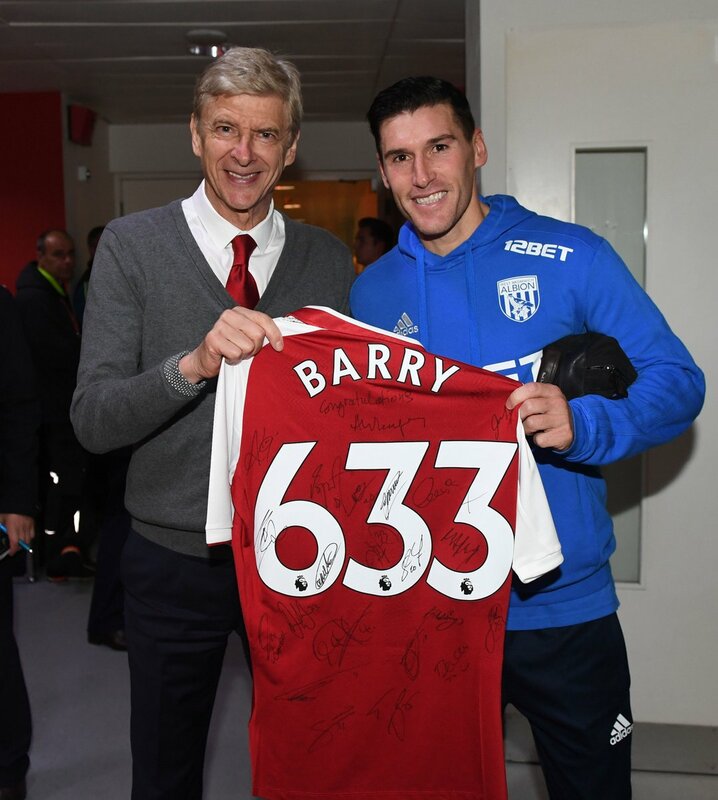 West Brom May have lost to Arsenal last night but for their veteran midfielder, Gareth Barry, it was a night he will never forget. The 2-0 defeat was his 633rd Premier League game, a new appearance record for the 25 years of the Premier League era. An incredible achievement for the 36 year old. A true testament to his durability and ability. The accolades were pouring in pre-game but in typical Barry style, he just took them all in his stride and got on about the business of playing football. You just knew that in this game of all games, Barry would be involved in the pivotal moment and sure enough midway through the first half he was.